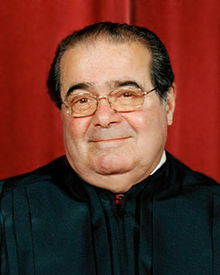 In an opinion that boggles the mind written by Antonin Scalia on a recent the case regarding the legality of patenting genes he apparently does not believe in anything that he does not have first hand knowledge on or can experience with his own senses. Although he agrees with the court decision that naturally occurring genes should not be patentable he disagrees in why this is the case. In his views it shouldn't be patentable because he doesn't believe in genes at all. Makes me all fuzzy inside to think that this is the guy that is one of nine final voices in legal matters in the worlds currently only super power.